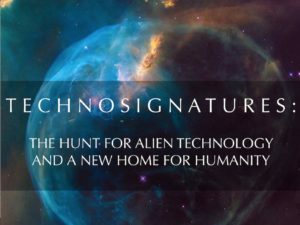 WikiLeaks reveals Dr. Edgar Mitchell was working with advanced angels / extraterrestrials and seeking their supernatural device I investigated in The Judgment Day Device. WikiLeaks dump of John Podesta’s e-mails reveal conversations the former presidential advisor and head of the Clinton campaign had with a rep of former NASA astronaut and consciousness change agent, Dr. Edgar Mitchell, about the existence of aliens, alien technology, and space warfare. The email was sent by Dr. Mitchell’s representative Terri Mansfield and “urgently” requested a meeting in which Mitchell could illuminate Podesta about “zero point energy”, “ETI” (Extraterrestrial Intelligences) and “disclosure”…before it’s too late. Podesta’s assistant, Eryn Sepp, accepted the invitation, but said, “John would likely take this meeting alone first before involving the President.” Sadly, Mitchell died in February, 2016 and did not live to tell his story to Podesta. Disclosure refers to the release of any and all information the U.S. government possesses on UFOs. Podesta has openly advocated for such a process well before any WikiLeaks referenced the subject. In the email, Mansfield assured Podesta that the Vatican was up to speed (or on board?) 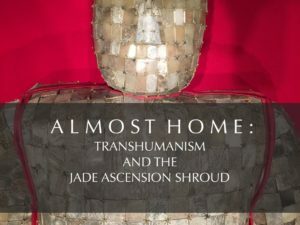 on repercussions of humans interacting with ETI, and how this will affect religion and consciousness. Mansfield also wrote of Mitchell’s concern that the War in Space race is heating up. However, according to Mitchell, nonviolent ETI from the contiguous universe are helping us bring zero point energy to Earth. More, these beings are the highest form of intelligence working directly with God and in complete obedience to God. “Our ETI’s connection to zero point energy is obvious in that their purpose is to guide Edgar’s international Quantrek science team to apply their zero point energy research for humanity, to move away from the use of fossil fuels which are so deleterious to our fragile planet,” wrote Mansfield. So, Dr. Mitchell is saying that highly advanced and Godly ETI — or angels — want to give us a free energy device to save humanity? This is exactly what I discovered and revealed in my 2012 book The Judgment Day Device and video of the same name. As I documented, over the past 3,500 years extraordinary efforts have been made to acquire, conceal, steal and destroy the secrets of a resurrection machine (that matches Mitchell’s free energy device). I did not know that Mitchell was ‘working with ETI on the Judgment Day Device”. Nor do I know how Mitchell learned about it (some sort of contact experience, perhaps? ), but I most certainly will be on the trail to find out. The subject of my book is the Seraphim angels, and their device, ‘the Ark Throne of the Presence’. The Seraphim (‘Fiery Serpents’) are the highest order of angels who serve at the Throne of God. They are humanity’s greatest ‘secret’ benefactors and appear to me to be the ETI or angels working directly with God and with Ed Mitchell. 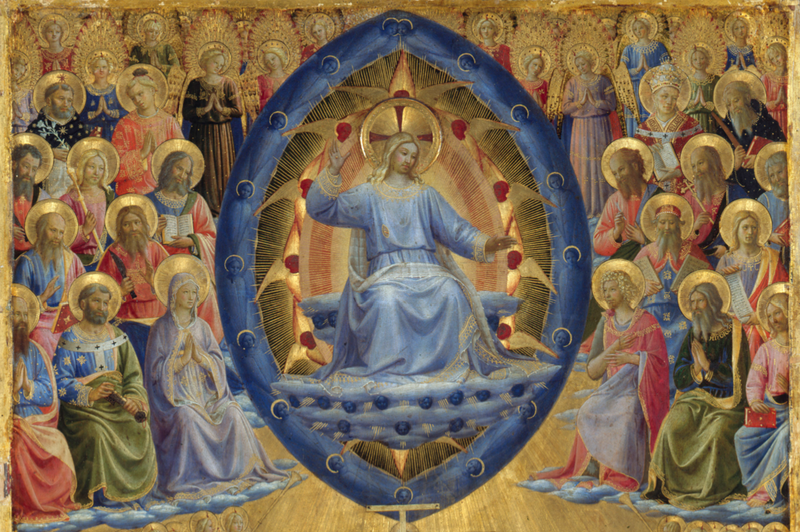 The blue Seraphim surround the the Throne of Christ. I have amassed a very large personal collection of art depicting this device going back 3,500 years, most of which is featured in my video presentation, The Judgment Day Device. The Seraphim and the device are seen together in nearly all of this art. 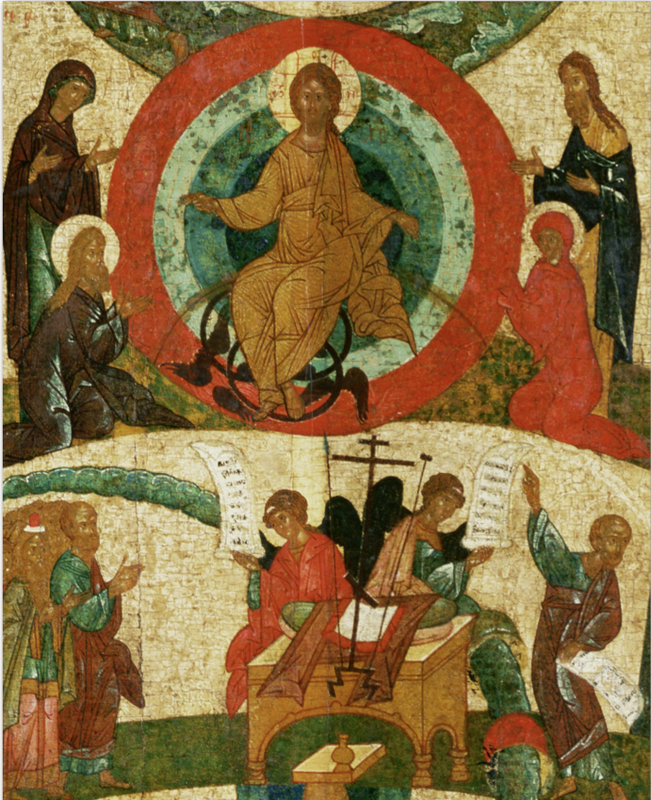 In later Christian times Jesus is shown with the device, indicating that it is ‘his’. The Seraphim ETI are not run of the mill flying saucer types of popular imagination. They are way beyond that level of technology. In my assessment, the Seraphim are Type IV or greater extra-dimensional beings on the Kardashev Scale of technological advancement. Stories and descriptions of them suggest they are meta-physical light beings who can manipulate space-time at will and are part of a meta-galactic civilization. Presently, our civilization is in transition from Type 0 to Type 1. Barely past rubbing two sticks together to make fission bombs capable of destroying humanity and earth, we are threatening to move from fossil fuel as our power source toward utilizing the power of our planet and the sun. The gap between Type 0 and Type 1 is when the vast majority of civilizations destroy themselves. Nuclear terrorism or cosmic catastrophes such as asteroids and comets lead to extinction level events this civilization is not able to overcome, not to mention Artificial Intelligence, which Stephen H. Hawking calls the greatest threat to humanity in history. Our budding near space industry and migration / colonization indicates we are on our way toward seeding the solar system and moving to Type 1 status. I don’t know if Mitchell knew it or not, but a device that can quickly accelerate our ascension to Type 1, 2 and even 3 status is at the center of End Time or Judgment Day prophecies of Judaism, Christianity and Islam, all of which say it will be ‘presented’ by a messianic figure in the End Time. A device is a tool, appliance, instrument and a machine, but also a technique, a plan and/or a symbol. What does this one do? As I show in The Judgment Day Device this angelic technology is a symbol for a ‘lost’ or ‘secret’ teaching about human apotheosis or deification. Revelation of its secrets is accompanied by an explanation of heavenly powers, cosmic beings and mysteries, and the secret knowledge of the transformation of the believer into a more glorious ‘light’ body that matches that of the resurrected Christ. The phenomena associated with this Device makes clear that it is some form of otherworldly ascension tool. It has the capability of making a human holy on contact and transmuting human flesh into light. With it, one can ascend and travel the stars. Simply, it is a resurrection machine or a stargate device. And yes, it is a free energy device, too. This is why I believe it is the same device referred to by Dr. Mitchell. As I discussed in the book and video, while Christians seek signs for Jesus’ 2nd coming, Jews await the Messiah and Muslims await the 12th Imam (the Mahdi), a powerful ‘device’ is awaiting discovery by one of these figures. This is why this device is at the center of the conflict unfolding between Iran, Israel and the U.S. Leaders of these countries believe in the appearance of a Messianic Figure (the Christ, Messiah or Mahdi) who emerges during a time of chaos at the End Times. All mankind stands to benefit if the Judgment Day Device and its free energy technology is peacefully revealed. This means this device is not only at the center of UFO Disclosure, but also of End Time prophecy. 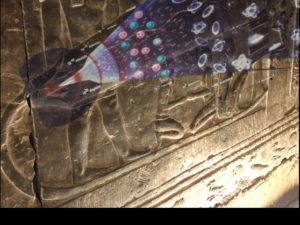 Evidence I presented in The Judgment Day Device reveals it not only was originally brought to earth by Seraphim, but it was taken from the earth by them, too. It is they who will return it at the proper time. On earth, it is guarded by a tribe of ancient, righteous, mystic and holy beings, called Rainmakers, who periodically assemble and disassemble the device. 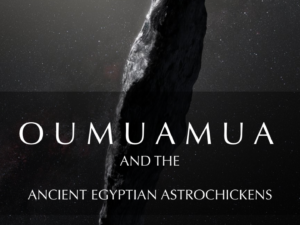 The fact that it has remained ‘lost’ despite centuries of seeking may be an indication that it will be never be found, has secretly been found or that it was waiting to be revealed by its ETI owners in a time like our own, when a great many signs regarding the end times have been fulfilled. It could also mean that it is under the protection of its righteous protectors and will not be discovered until the “guided” one appears. Today, the Rainmaker works in preparation for the appearance of the angels of the Christ-MessiahMahdi, who deploys it at the End of Time or Judgment Day to bring world peace and humanity’s advancement into the stars. I now have no doubt that Dr. Mitchell will be part of this guidance. Please watch the Judgment Day Device as part of my offerings on Gaia TV. 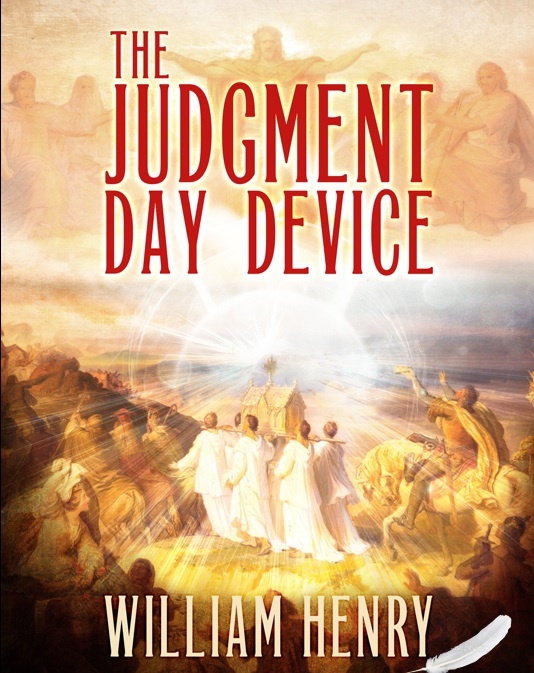 The Judgment Day Device is available for reading in PDF format as part of my Flash Drive special. Are you sure that the device is mechanical or even a symbol? Could it not be that the second coming is already here? The Star Seed and Indigo races born under the Christ Ray have been preparing the light body for years now, through Kundalini. I know this because I am an Indigo. And I have been clearing not only my own body and ancestral line, but the planetary body as well, for many years now. There are millions of us on the planet evolving at a rate of knots. Maybe we are the Device, or Kundalini is the Device. When we reach critical mass, maybe that will be enough for the shift. Question, does this have anything to do with the urim and the thummim and the breastplate of high priest as recorded in the Old Testament? THIS is the article I’ve been looking for! 😉 Thank you! Something tells me our sun is involved in all of this? Daily food for thought; Thank you! Wow all commentators are so right on! The sun is involved, as is the sun at the center of the galaxy…the question is..how does the device interact\operate with the light body? Interesting read, raises many questions. Could it be that the “Judgement Day Device” is the Arch of the covenant ? The Judgment day device may be in the hands of a prophetic being predicted in the Hadith and the Quran 27: 82 who will separate the good from the bad before the great day of enlightenment (resurrection-Apocalypse). This is a very mysterious verse and Muslim scholars have no idea what it means but according to a well-known ( Hadith)tradition, the Dabbatt AL Ard, Creature from the Earth, will stamp the righteous on their foreheads designating their sanctity and likewise mark the evildoers with a sign indicating their damnation right at the end of time. Now obviously, where talking about some very deep and powerful spiritual technology here and the metaphor beast or creature might mean that it will be an extraordinary earthy event. Here is one interpretation of the verse.